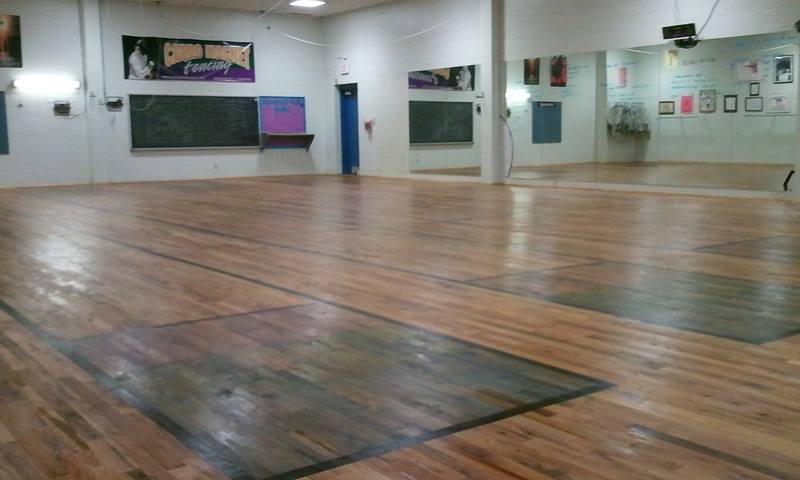 This is a picture of our Fencing Room. Four strips (we had 2 before installing the wood floor), and new overhead reel systems. 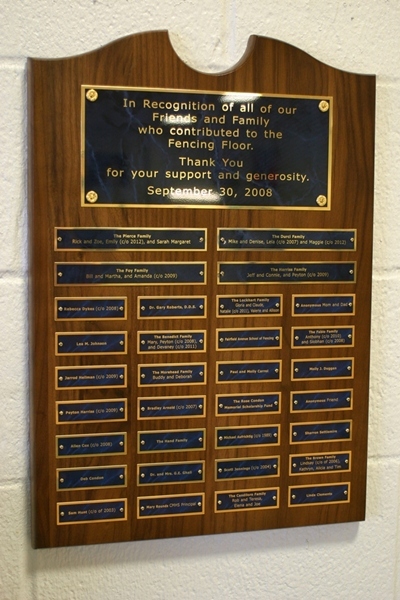 Installed in 2008, From beginning to end, the project took about 4 months, with friends and family collectively donating over $11,000. of all the friends and family that donated to our Floor project. Visit the Special Thanks page to see a list of everyone involved. Thanks, again, to Everyone!